A few days ago, I decided to do a little mini brand refresh. It may sound crazy because I just rebranded a few months ago, but it was time to do it. Refreshes are great to keep your brand current. Just like you wouldn’t wear last seasons ‘it’ item because it is out of style, your brand needs to evolve or it may end up out of date. The refresh happened on my work with me page. The after picture is lighter, less cluttered, and easier to digest than the before picture. My entire brand didn’t change at all, but there was just an update. It’s like a Marc Jacobs creating a spring collection after the winter collection. The overall ascetics of Marc Jacob’s designs are the same, but he may use different prints, shapes, colors, etc to create a new look. Another example is Diane von Furstenberg and her iconic wrap dresses. How many variations has she created over the years? More than I can count. But that is her signature look and it’s updated every so often. Theme: I know my theme I want to go for on my site. Knowing where you want to go and your look and feel is key. Images: Find images that represent you (your own from a photo shoot or images you buy). Either way, make sure it represents the look and feel you are going for. Inspiration: Look for inspiration on other people’s websites. It doesn’t have to be from the same field / industry as you. You can look for layout ideas, image ideas, etc. Experiment & have fun: Although I had a theme, I didn’t know the exact layout I wanted for my header or my page. I had my inspirations, but allowed time to play around. Here’s a little guide why I chose certain elements to include or exclude from my refresh. Hope this was helpful for you as you work on your brand. Please let me know what your key takeaways are by posting it in the comments below. P.S. 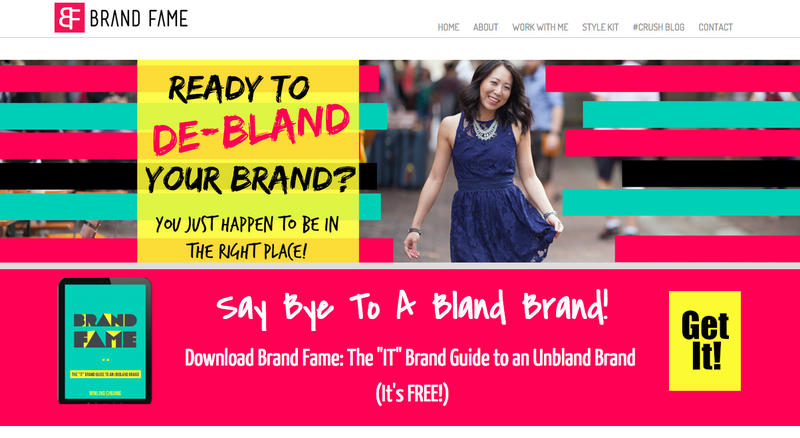 Ready to create a brand that is so uniquely you that you can stand out in the marketspace and attract clients you love? – Gaining clarity around your brand message so your clients know how to find you? – Creating ‘oh yes’ lead magnets that your leads are dying to have? – Building a community of loyal followers who are eager to work with you and only you? Let’s work together on this. My ‘It’ Brand Mentorship is a private 1:1 experience where we’ll turn your brand from ‘Eh’ to ‘WOW’ and a serious attraction magnet. Book a complimentary Brand Breakthrough Session to find out more. I'm Minling. Resident BRANDING GEEK here to help you get to the heart of your brand & message so that your clients come running to you (vs. having to chase them down). To me, brands go way deeper than the visuals. Branding is about building the emotional connections. That's what creates a tribe of raving fans. 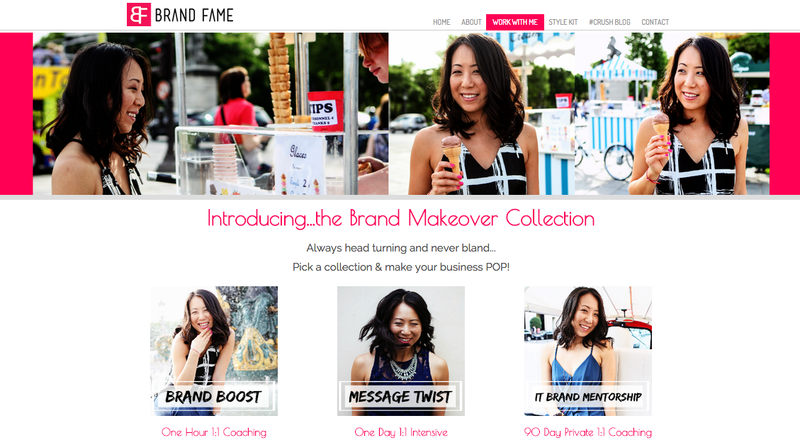 Want to the real scoop on branding? Forget About Your WHY. It Doesn’t Matter. Instead, You Need This.